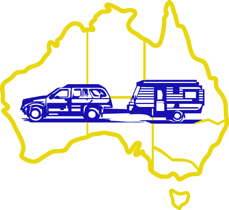 Most of our activities occur on the East coast of Australia as that is where our present membership lives. For convenience membership is divided into Zones on a geographical basis. We hope eventually to spread to other states in Australia. Some zones cross state borders and others overlap where their interests may vary slightly - for instance in the state of Victoria there is a 4WD group operating in the same area as the original Victorian zone, and two other zones have been formed as there has been a cap placed on membership of the original zone for practical reasons. Zones are largely autonomous and can arrange musters interstate if they desire. The larger zones also take it in turn to organise the annual National muster, at which the officers of the national committee are elected.